With one in every seven people, and one in every four US adults, suffering from high blood pressure, it’s important to be aware of the risk factors that increase your risk of developing this health condition. High blood pressure often doesn’t result in any visible symptoms or signs; those that have high blood pressure often only realise after having a blood pressure test while visiting their local doctor. Luckily, high blood pressure is easy to prevent using a combination of healthy eating and lifestyle choices. In this blog post, we’ll share three tips that you apply use to lower your chances of developing high blood pressure. From running to weight training, exercise is one of the most effective ways to make sure your blood pressure stays within a healthy range. Make sure you exercise every day, preferably for 30 minutes to one hour, to keep your blood pressure low. Aerobic exercise – exercise that works your heart and respiratory system – is one of the best ways to keep your blood pressure low. 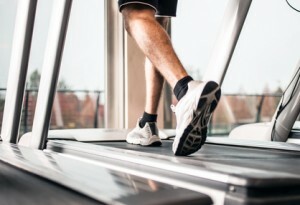 If you already work out with weights and want to improve your health, try adding 30 minutes of cardio to your routine. Heavy alcohol consumption, even if infrequent, is closely correlated with high blood pressure. Keep your drinking to a minimum when at bars or nightclubs and drink an average of one or fewer standard drinks per day. While a glass of wine in the evening won’t harm your body, long-term drinking can have a significant negative effect on your health. Avoid serious alcohol consumption and you’re far less likely to develop high blood pressure. Eating healthy food every now and then isn’t enough; to keep high blood pressure at bay, it’s important to follow a consistent healthy diet. Focus on fruits and vegetables and avoid eating fatty meats more than once or twice per week. Lean sources of protein such as egg whites, chicken breast and lentils offer protein without the fat of other types of meat. High-fat, high-sodium diets are closely linked to high blood pressure and a variety of other heart health issues.